We’d love your help. 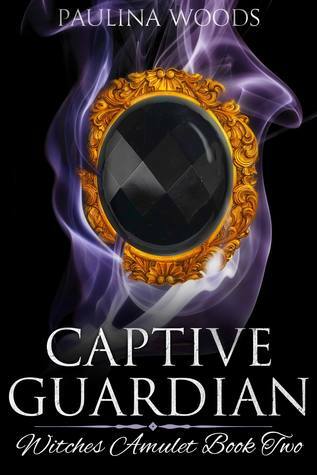 Let us know what’s wrong with this preview of Captive Guardian by Paulina Woods. High above New York, in a gilded cage, Marcus lives out his lonely life. Born in captivity, he has been told he has one purpose in life, to produce powerful female witch offspring. And when he has served his purpose, he will die. To ask other readers questions about Captive Guardian, please sign up. Okay, so I'm loving this series. You get to meet new characters, who are the center of this second book, but you still get to have your old characters and make new connections between them. I've read books where this either feels forced, the old characters are barely mentioned or ignored completely, and I have a feeling that this is not an easy thing to accomplish, so bravo! The story continues, more and more details of the central conflict being revealed, and more people coming together to prep Okay, so I'm loving this series. You get to meet new characters, who are the center of this second book, but you still get to have your old characters and make new connections between them. I've read books where this either feels forced, the old characters are barely mentioned or ignored completely, and I have a feeling that this is not an easy thing to accomplish, so bravo! Michael, second in command of the gargoyle army, is captured by evil witches and taken to New York where he is placed in a penthouse cage. His roommate, Marcus, is a male witch who has only ever known a life of captivity. Marcus was raised to breed powerful witches. Realizing Marcus is his mate, Michael vows to find a way to free them both, but Marcus doesn’t know how to live outside of captivity. Once free, the men take refuge with a coven of vampires while they wait for Michael’s strength to return so he can open a portal and take them to his home. When they return to Michael’s home, Marcus is finally able to meet his sister Milcah, another powerful witch. Marcus will need to decide if he wants to be part of the quest to overthrow the evil witches and become Michael’s mate, or if he’d rather return to the simple life he’s comfortable with. Captive Guardian is the second book in the Witches Amulet series. 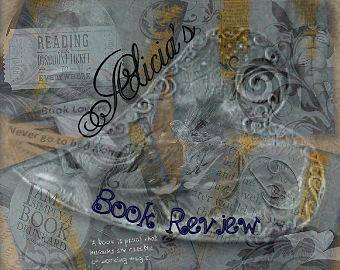 Although I was assured this was a standalone book, I did not feel it could be read and fully understood without having read the first book in the series, Stone Guardian. The beginning of Captive Guardian picks up right where Stone Guardian left off, and as with the first book, the quest doesn’t advance much in the second book. I assume it will be continued in another book to be added to the series. I enjoyed the paranormal aspect of the story, which included gargoyles, witches, vampires, and fae, but felt the story was lacking in quite a few areas. The main focus of the book was the relationship between Michael and Marcus, with the attraction from both of them being instantaneous. There was not enough focus on the quest to save the world from the evil witches. That felt more like a sub-plot. Marcus was a very immature, simple, and needy character. Some of his characterization called for this as he had spent his entire life in captivity, but at times he seemed more like a young boy rather than a grown man capable of making decisions for himself. Barely any discussion revolved around Marcus’ powers, or his history and how he became captive, or on what his part in the quest to save the world would be. The story essentially ends with no resolution, leaving the reader hanging once again. It is not necessarily a cliffhanger ending, but not a true end to the story either. Overall, it did not entice me to read more. This story picked up where Stone Guardian left off. It had Michael captive in one of the stud stables for the witches. This is where he gets put in the penthouse and meets Marcus who’s been there since birth. Their relationship builds through the story, as they escape from one place to another. I like that Marcus decides he doesn’t want to be helpless and co-dependant on Michael. When they finally reach back to Michael’s homeland. Michael being the Alpha male declares them mates, and they set out to have a family of their own. Make a place of their own. There is more going on to build up to the rest of this story, but I’ll let you read this series to find out whats going on with the witches and what Lillith has up her sleeve for the next book. There needed to be a little more what of what each male was feeling emo wise about the other, there was some but I think it could have had a little more one on one time between the two males. Other wise then that, it was a good read. The flow of the story was fast. Marcus has lived his whole life trapped by the witches in a stable never dreaming of escape. Will his new "roommate" Michael from the gargoyle army change everything? I just love this story there is so much detail into how and why the many beings of earth have come to be. I really love the story of Marcus and Michael and was so happy that sweet Marcus found someone to protect him and keep him safe. The world that Paulina Woods creates just makes you want to stay and vis Fabulous Paranormal World ! I just love this story there is so much detail into how and why the many beings of earth have come to be. I really love the story of Marcus and Michael and was so happy that sweet Marcus found someone to protect him and keep him safe. The world that Paulina Woods creates just makes you want to stay and visit forever , I was so that it ended! I was happy to see that her future books will be longer because there are so many characters that I want to know more about. I do think that this can be read as a stand alone but I would recommend Stone Guardian first. Also the author is very good at making you want the next book NOW even though there is a HEA. Paranormal Romance with M/M sizzling heat. I can't wait to continue the series! This is a very unique paranormal series that gets better with each installment. The beginning is an extraordinary introduction presented in mythical, scriptural form. As in the first book, this is an immediate hook that captures interest. The plot is well crafted, the suspense is intriguing, and the smooth flow allows time to connect with each character. There are some grammatical errors, but I wasn’t deterred. The focus bounces between a M/M love story, the devious acts of an unusual coven, and t This is a very unique paranormal series that gets better with each installment. There are some grammatical errors, but I wasn’t deterred. The focus bounces between a M/M love story, the devious acts of an unusual coven, and the paranormal forces acting against the coven. The author’s growth is visible from one book to the next, and I find her writing style quite charming. I recommend reading after the first installment, and I have no doubt that Ms.Woods will continue to mesmerize her audience with this creative series! High above New York, in a gilded cage, Marcus lives out his lonely life. Born in captivity he has been told he has one purpose in life, to produce powerful female witch offspring. Michael is second in command to the general of the gargoyles army. He lives a fast and dangerous life, always looking for the next adventure. When he is captured, bound and tossed into a cage all thoughts of revenge goes out the window when he is faced with his mate. I really enjoyed this book! Paulina Woods went into a lot of details and made it very easy to visualize what you were reading. I liked how the connection between Marcus and Michael happened fast but continued to grow stronger through the rest of the story. The variety of creatures and characters also kept the storyline interesting! Life is what you make it and nothing more. This is something I had to come to terms with as I struggled to find my place in this world. I was born with a learning disability and no one could understand me but my older brother until I was almost eight years old. I was told my multiple teachers and school councilors that I was not going to graduate high school unless I went into a special program. In Life is what you make it and nothing more. This is something I had to come to terms with as I struggled to find my place in this world. I was born with a learning disability and no one could understand me but my older brother until I was almost eight years old. I was told my multiple teachers and school councilors that I was not going to graduate high school unless I went into a special program. In 2001 I proved them all wrong by graduating with a 3.5 and being accepted into Cal State University, Pomona. Following the bad advice of my councilor I majored in animal science and after two years I had to drop out. For a while I wondered aimlessly and became homeless before I decided to give school one more try. Enrolling at Fullerton College I picked journalism to major in, why not I loved to read and write. In 2008 I graduated from California State University, Fullerton with my B.A. in Communication with an emphasis on journalism. Of course life happens and I had to take a year off of everything to take care of my mom and younger brother. I thought I would never recover and would forever play catch up but then my older brother sat me down and told me that I needed to pursue my own dreams. So I started a blog and started posting reviews. It was fun but I was still missing something. When author Valerie Twombly suggested I try my hand at writing I was skeptical that anyone would want to read stories from my head. I love fantasy and I fall in love with the most unique heroes. So between reading, working and taking care of my younger brother, I wrote my first novel and in 2014 I hit publish. Not even a year later I have released my second novella and working hard to get the third one out. I have more faith in myself and hope to one day become a full-time author and blogger. So I would like to tell those who have been told that they will never amount to anything that there is hope. You are only held down by your own limitations. Reach for what you want and fight to hold on to it.